If you're looking for a commercial kitchen cleaner in the Seattle area, look no further. Seattle Hood Cleaning Pros are the best in the business.It all started with basic hood cleaning services, but we've expanded and we offer a heck of a lot more than that. We can not only leave your hood system up to code and in top-notch condition, but we can leave your entire kitchen sparkling! Our professional hood cleaning technicians trained extensively to be able to offer you the best commercial kitchen cleaning services in Seattle. 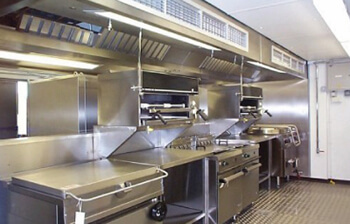 We have the appropriate gear to scrub your commercial kitchen to a rich shine. Our gear and equipment allows us to effectively remove the impossible. We can power wash, steam clean, and use other advanced equipment. Seattle Hood Cleaning Pros don't just clean your exhaust and hood systems. 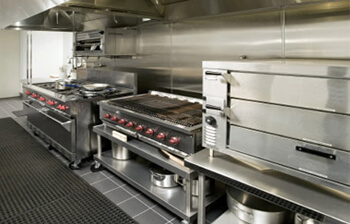 We clean commercial kitchens all over the Seattle area. Let's just say this...this ain't our first rodeo. 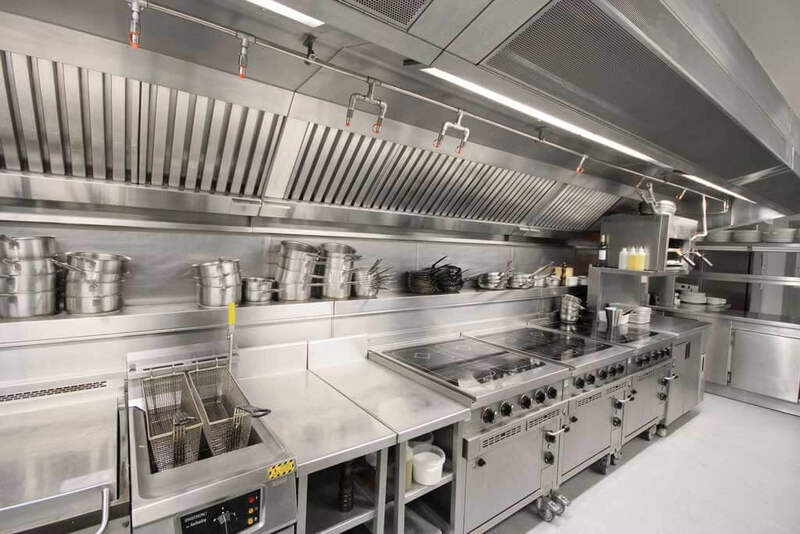 We know there's a lot more to your commercial kitchen than the exhaust system. So what does a commercial kitchen cleaning get you? A damn clean kitchen and an A+ on your inspection for cleanliness. Need we say more? Okay. You got us. We'll go into some detail. Well, let's just put it this way, a commercial kitchen can be total chaos at times--we know. Before you know it, your once crisp clean walls are now dingy, greasy, and wear the stench of last year's grilling sauce. It happens everywhere, you don't have to be ashamed. The good news is that you don't have to go on like this. Your kitchen can be crispy clean once again! You can enjoy the tile floors without having to slide on greasy build-up. You can also enjoy the white walls once again. We will remove all the crap, okay? So, how will we do this? We will use the latest cleaning technologies to ensure that your kitchen is spotless and up to code. Seattle Hood Cleaning Pros has many commercial kitchen cleaning methods that we use. The two most common are pressure washing and steam cleaning. We will always use FDA approved chemicals. If worst things come to worse, we aren't afraid to get down on our hands and knees and scrub. We want to leave your kitchen looking stunning when we leave. You'll be impressed by our commercial kitchen cleaning, but your inspectors will definitely be impressed. It is highly important for you to keep your clients safe and healthy. With that being said, you should just hand over your kitchen to anyone. You want to trust whoever is roaming in and out of your kitchen and tinkering around with all your stuff. When you're working with Seattle Hood Cleaning Pros--know that you're getting just that--PROFESSIONALS. Our team is not only made up of licensed, trained and certified hood cleaners, but we will always treat you with respect. We will always be considerate of your clientele, employees, property, equipment, and you. Our goal is to build a strong relationship with you. We want you to be comfortable picking up the phone and simply giving us a call anytime you need something. Let's get on a first name basis. Our technicians are on stand by waiting for your call. We are happy to be your commercial kitchen pros. Call us at 206-929-4133.